Strawberry Milk: a blog for fabulously fashioned fetes. : Pantone: Color of the Year! 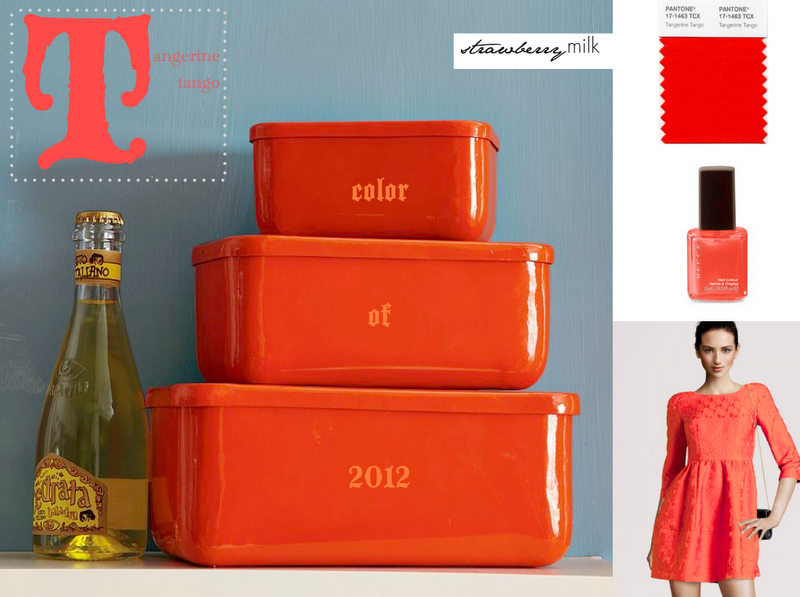 We are pleased to announce the reddish-orange color that will be influencing the design industry in 2012! As the Pantone news release put it, "[Tangerine Tango] is sophisticated but at the same time dramatic and seductive, an orange with a lot of depth to it” says Leatrice Eiseman, executive director of the Pantone Color Institute®. I'm really liking it paired with this moody french blue. What color will you pair Pantone 17-1463 with?